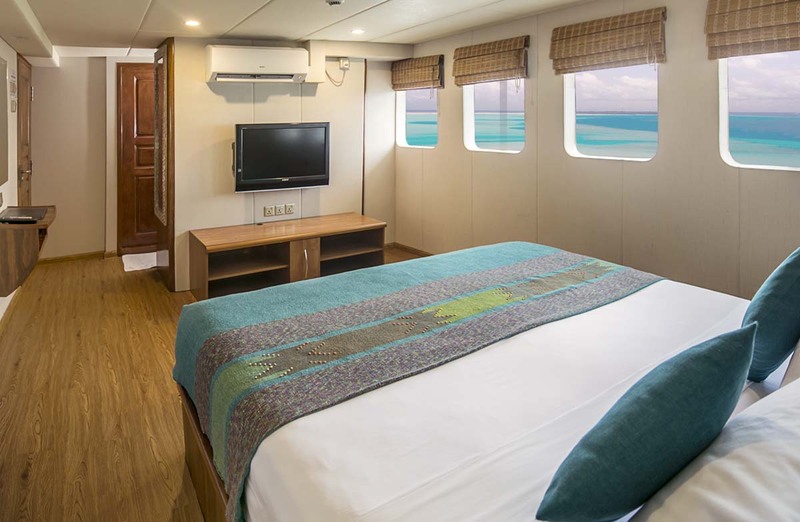 MV Carpe Diem has some of the best Maldives scuba tours and is one of the most popular Maldives liveaboard diving boats available. 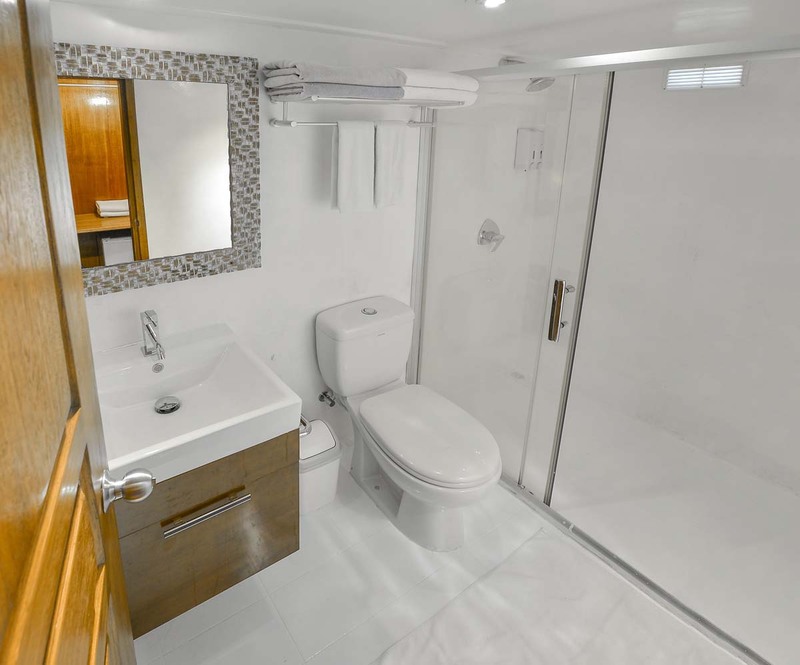 Built in 2008 to a specification best suited for guests’ needs, the boat is just the right size, has the best facilities & range of cabins, and rates are very competitive. At 35m. 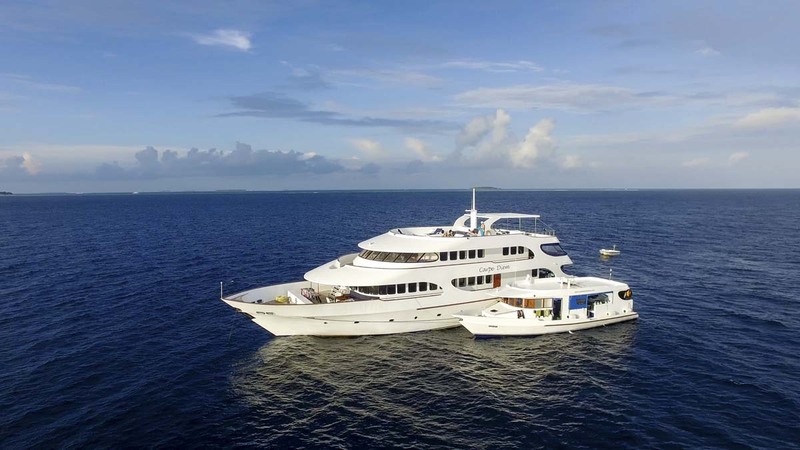 in length and taking no more than 20 diving guests, Carpe Diem ticks all the right boxes for anyone wanting the best diving Diving Maldives liveaboard experience. 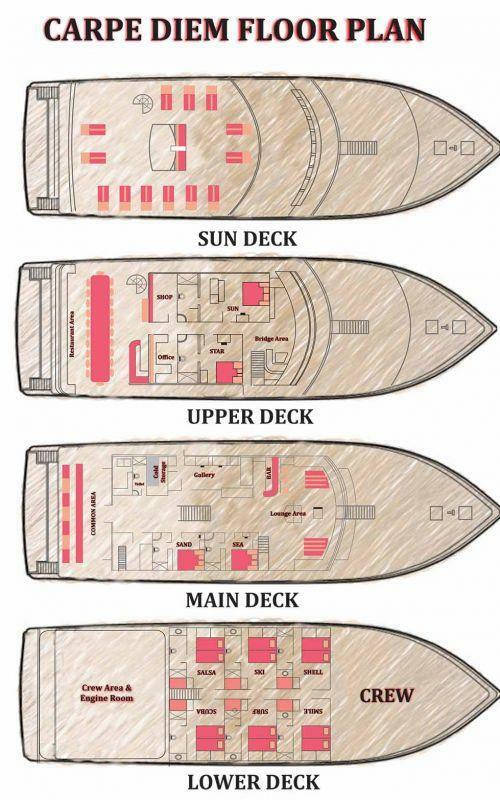 Starting with the boat’s cabins, there are 10 in total, on three decks. 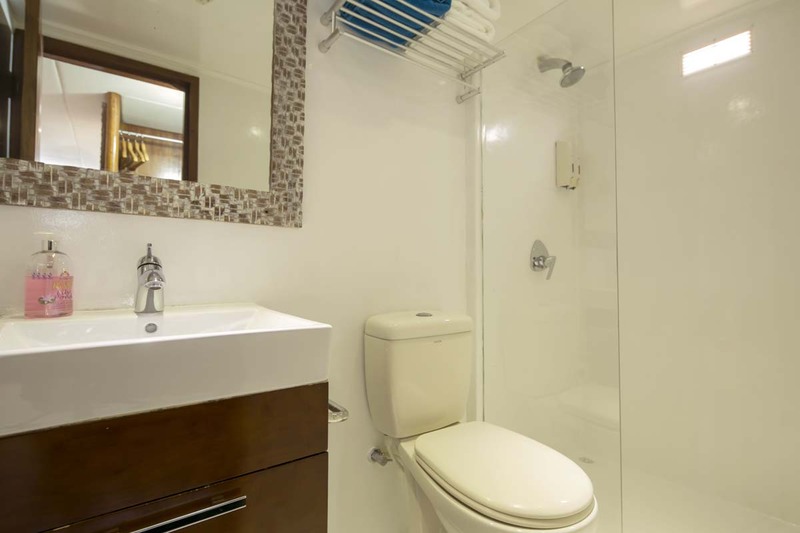 All are air conditioned and have en suite private bathrooms. 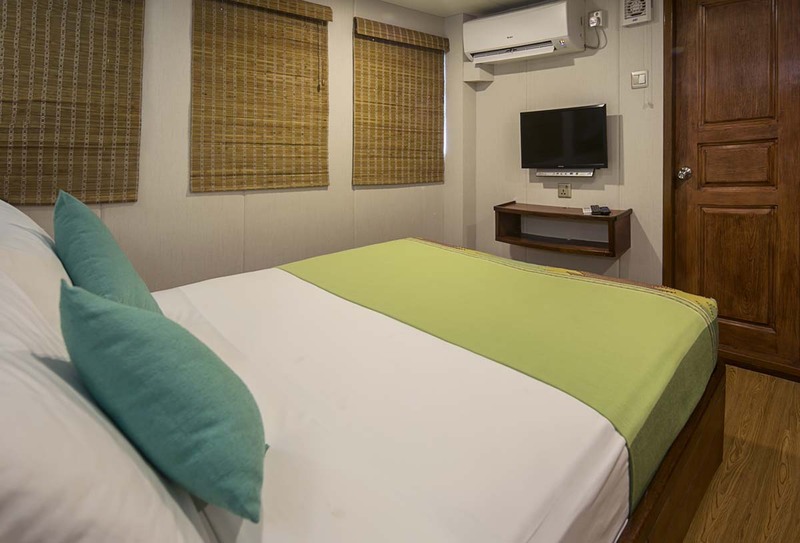 Most cabins are located on the boat’s lower deck, and these comprise of twin/double beds, so are ideal for couples, friends or solo travellers. 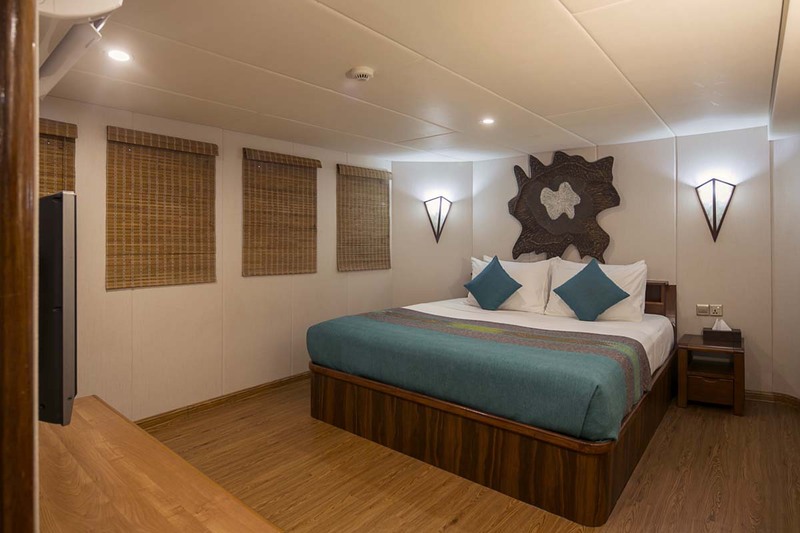 In the summer of 2016, Carpe Diem underwent a dry-dock refurbishment, focussing mainly on making these lower deck cabins even more comfortable and therefore even better value. 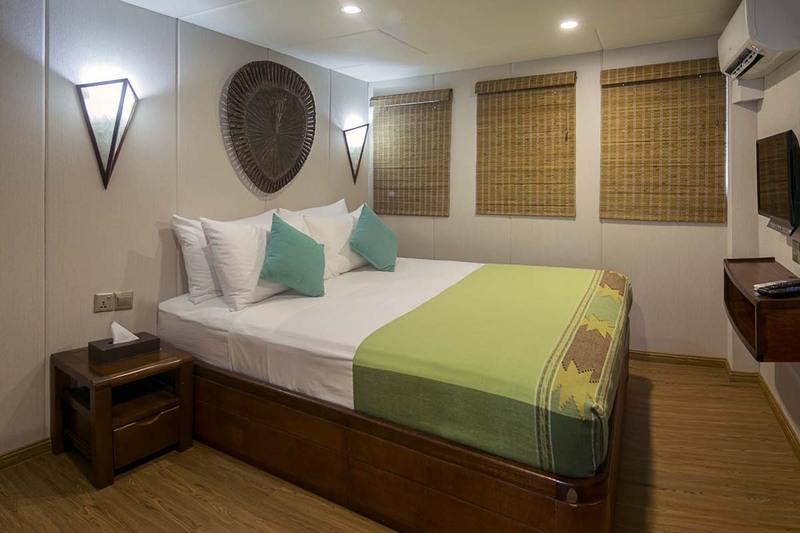 On Carpe Diem’s main deck there are two more standard cabins. 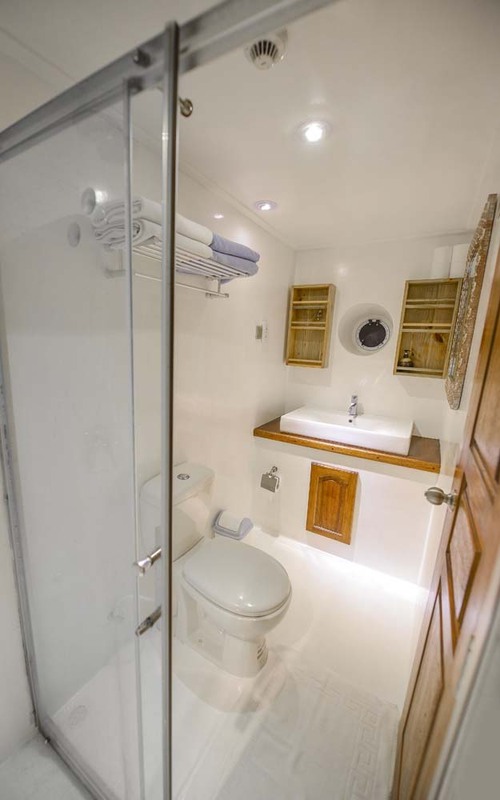 These have large windows, a TV, and a double bed. 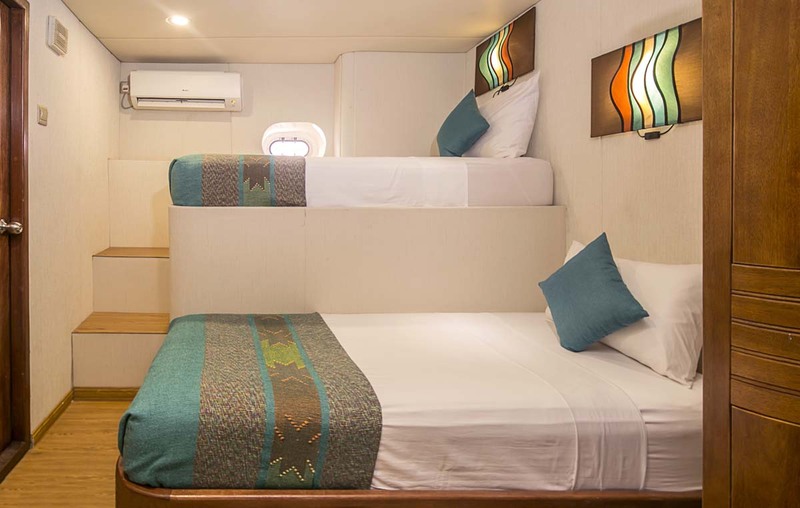 Finally, on the upper deck of Carpe Diem, there are the deluxe double-bed cabin and the master suite. 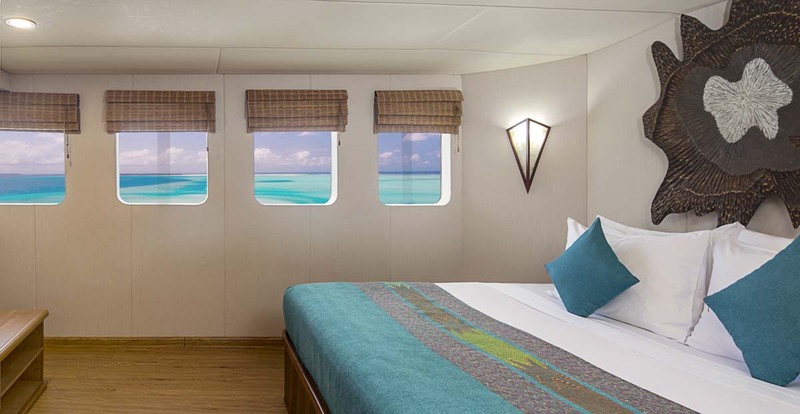 Both are fitted with large double beds, and offer plenty of space, natural daylight and wonderful views of the Indian Ocean and The Maldives’ islands pristine beaches. 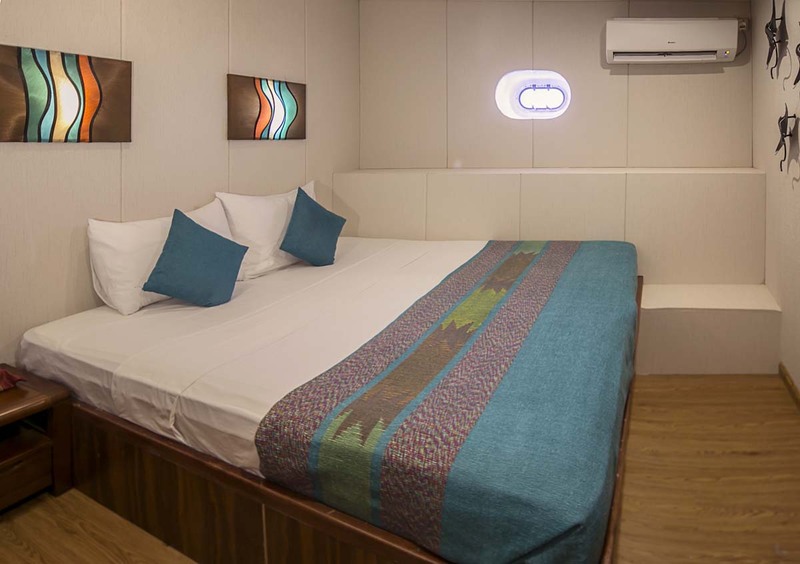 Carpe Diem’s communal areas include an air-conditioned lounge/saloons and dining room, as well as a wide choice of places to eat, drink, socialize or sunbathe. 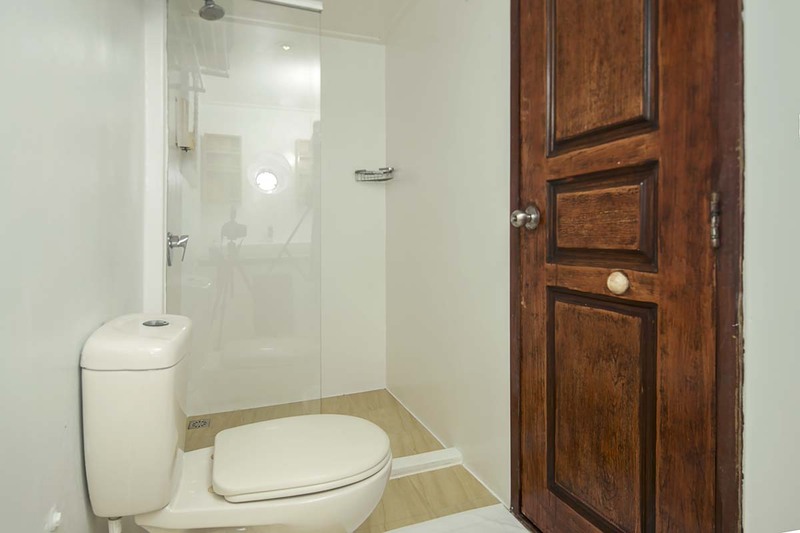 There is always a place for each of the twenty guests to either gather in groups or find some privacy. 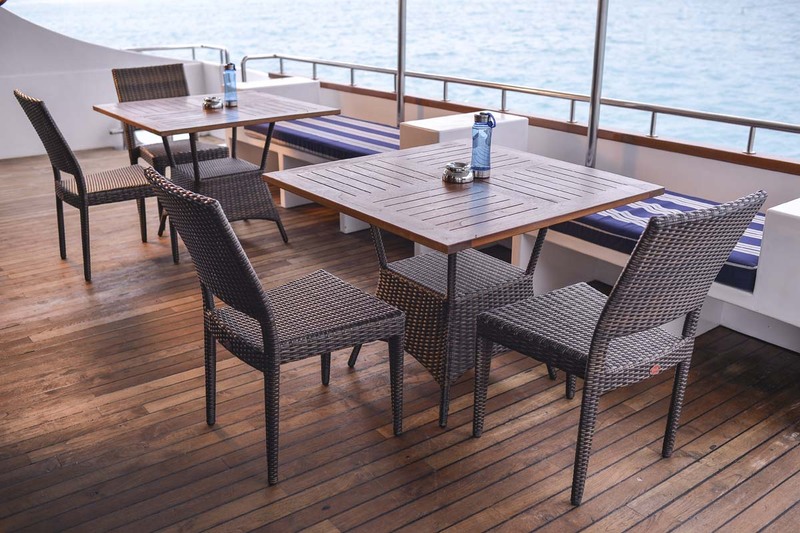 This includes on sofas, sun beds, and dinner tables. 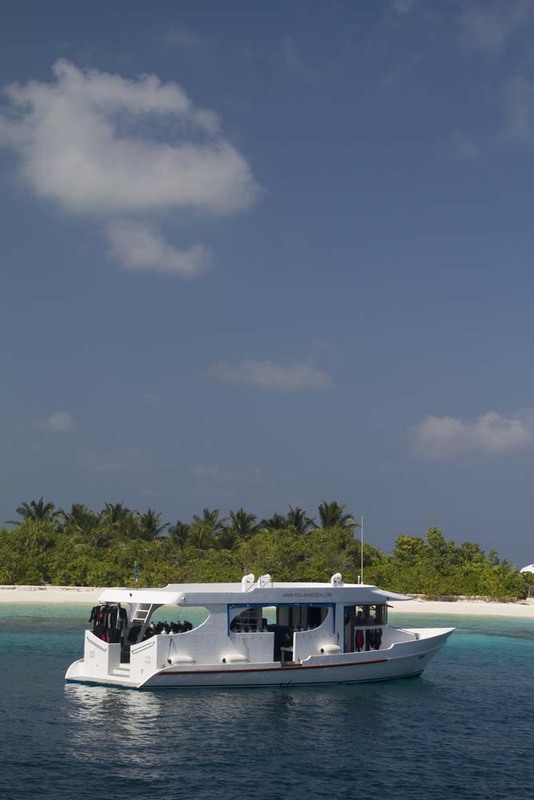 Space on the boat is maximised by the use of a tender vessel (known as a ‘dhoni’) to take divers to each dive spot and pick them up again. 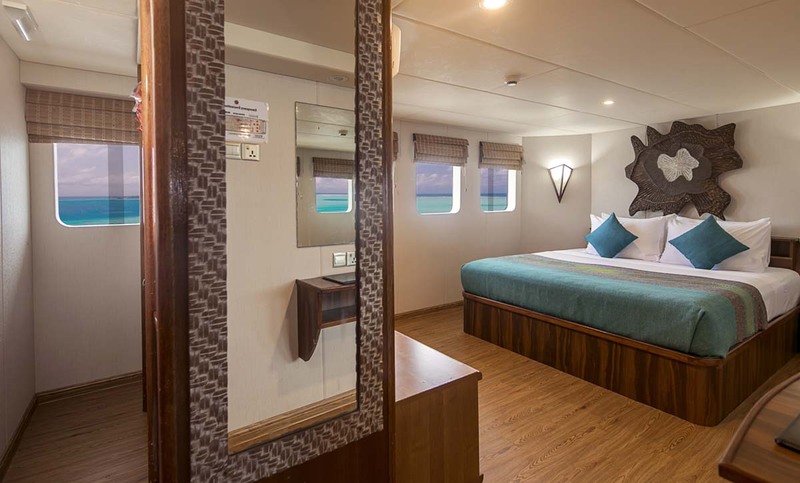 Therefore, with the equipment on the dhoni, every square metre of Carpe Diem luxury liveaboard is designed to be used for luxurious enjoyment of The Maldives Archipelago. 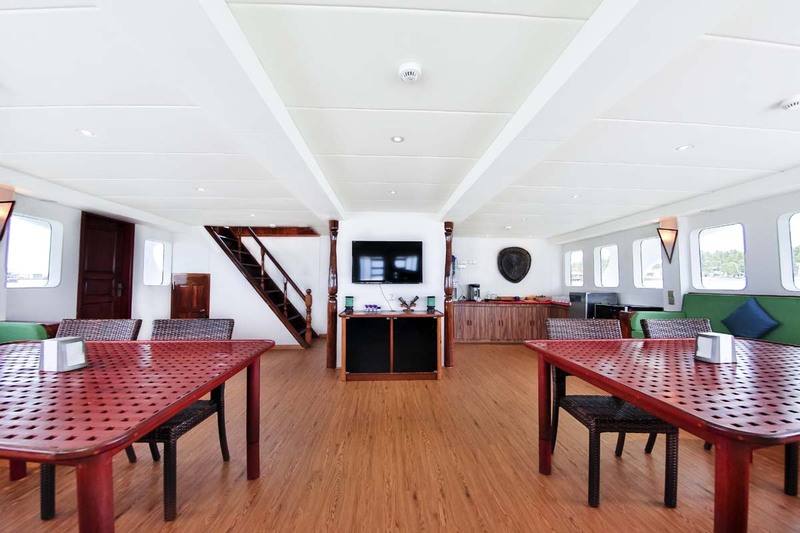 There is the usual TV DVD set up for guests to enjoy a movie, but more commonly used for showing the day’s underwater videos or photos. The library is permanently stocked with a wide range of interesting books and novels – in a selection of languages. 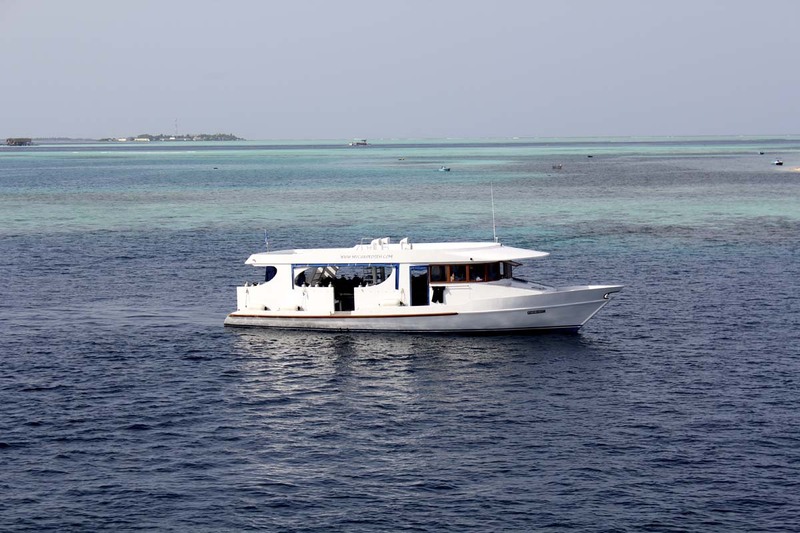 Time flies by on the boat’s week-long diving cruises of the Maldives’ best diving areas, with the schedule designed to be at the best islands at any given time of the month or year. 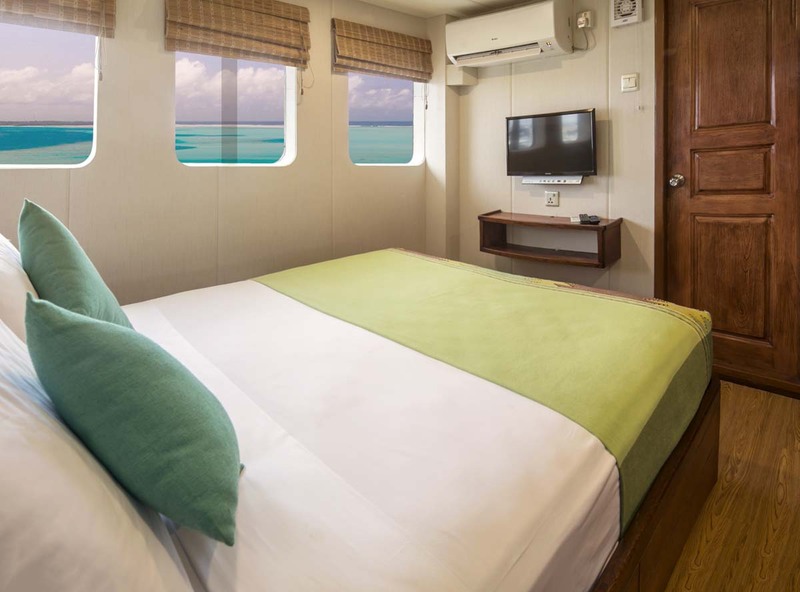 Diving the Maldives from Carpe Diem is safe & enjoyable, mainly due to the experienced crew’s ability to choose the best itinerary & dive spots and take good care of its guests. Nitrox is available, and courses are as well. 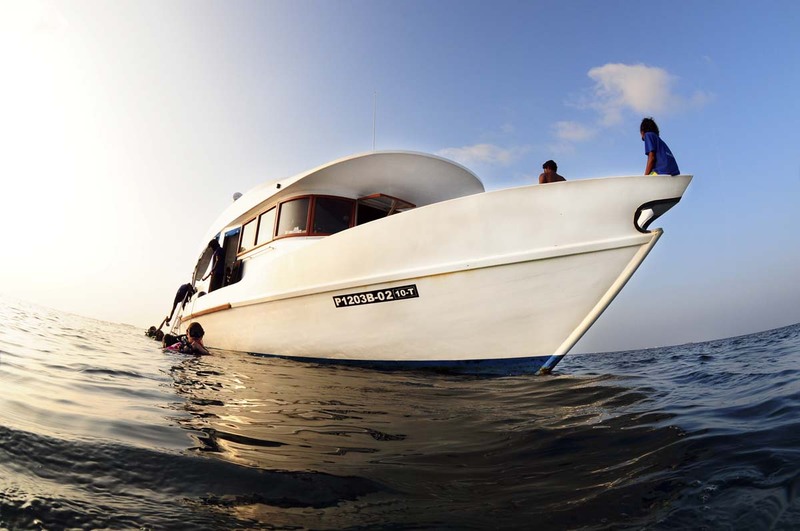 Most dive trips sail from and back to Male’ but a few start and/or finish elsewhere in The Maldives. 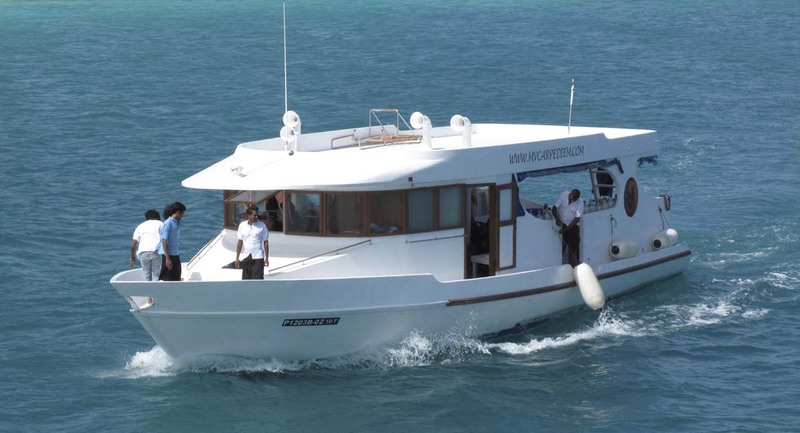 All in all Carpe Diem is one of the best Maldives diving liveaboards due to its great balance of comfort, safety, facilities and value. 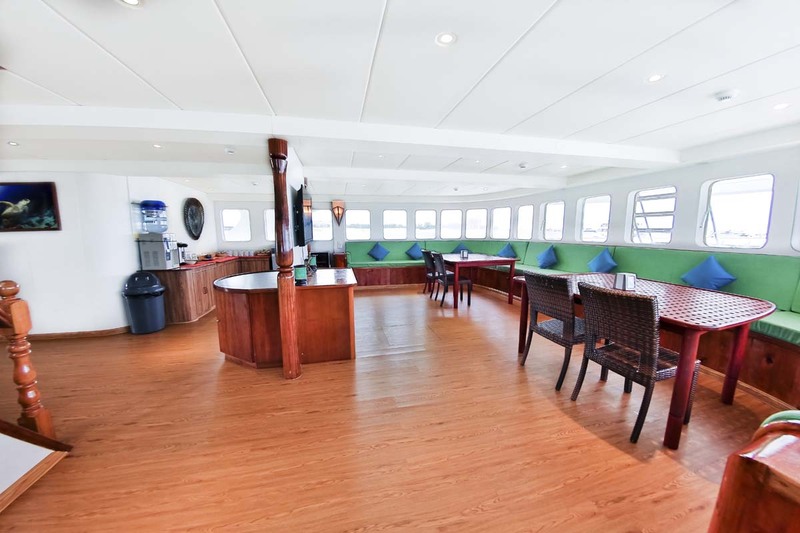 It’s good to book early, because the best places are often sold out quickly months in advance. 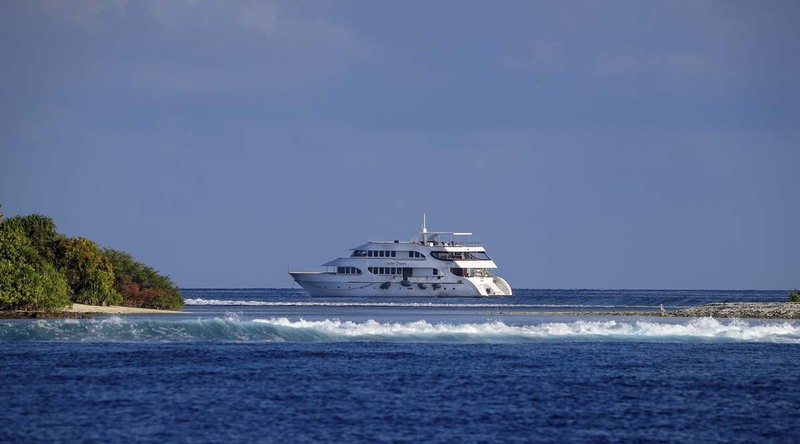 There are a few Maldives diving itineraries for Carpe Diem guests with some of the best diving Maldives has got. 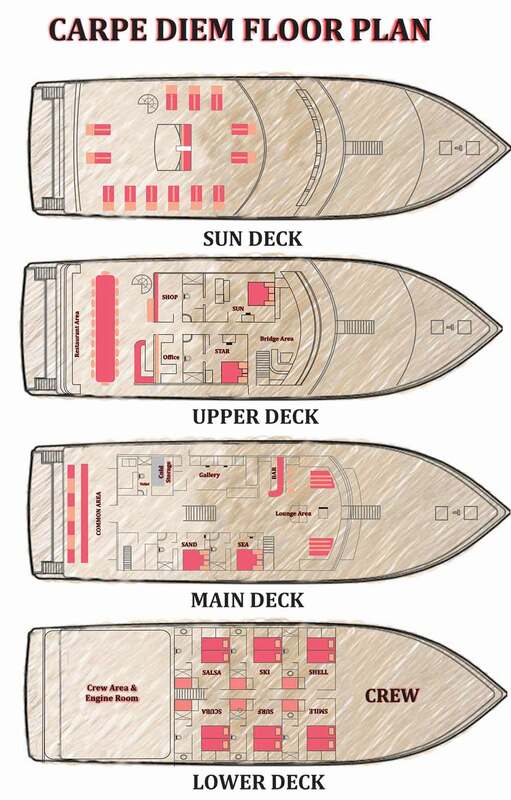 Most depart from and return to Male’, while a few use other ports, such as Ari. Please check the schedule carefully or ask us before you book your flights. 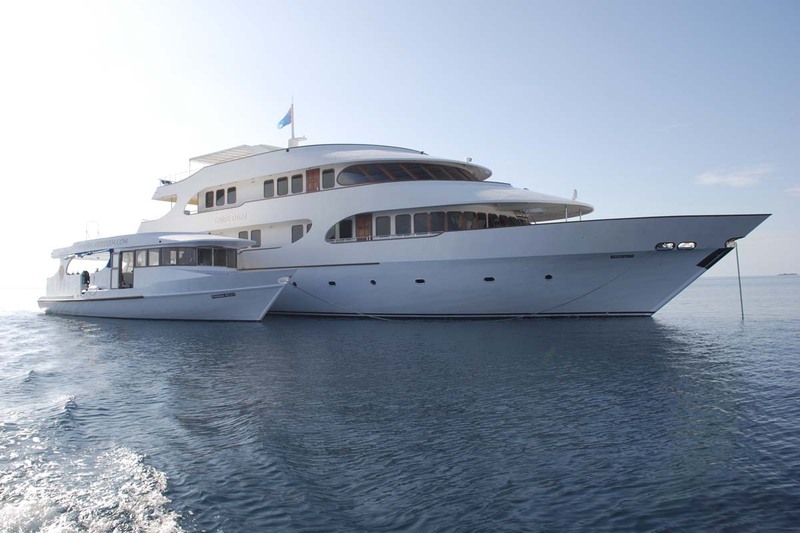 Fuel Tank Capacity: 7000 Litres. Engine: Doosan Daewood Diesel Engine 650 Hp. 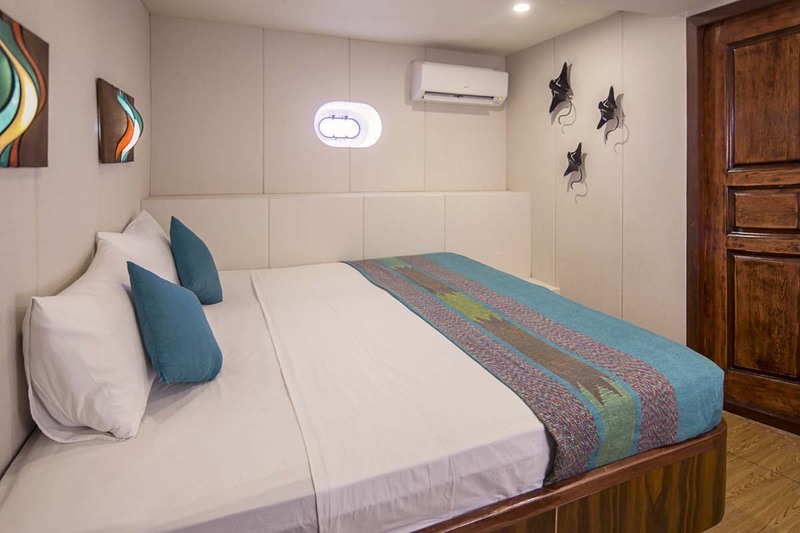 Generators: 2 X Doosan Daewood Marine Soundproof, 50 Hz, 380V, 45KW. Electric Voltage: 220 / 50 Hz, 24 Hrs / Day. HP Compressors: 2 X MCH 16 Coltri Sub (530 L/min, 18CFM), Bauer M320. 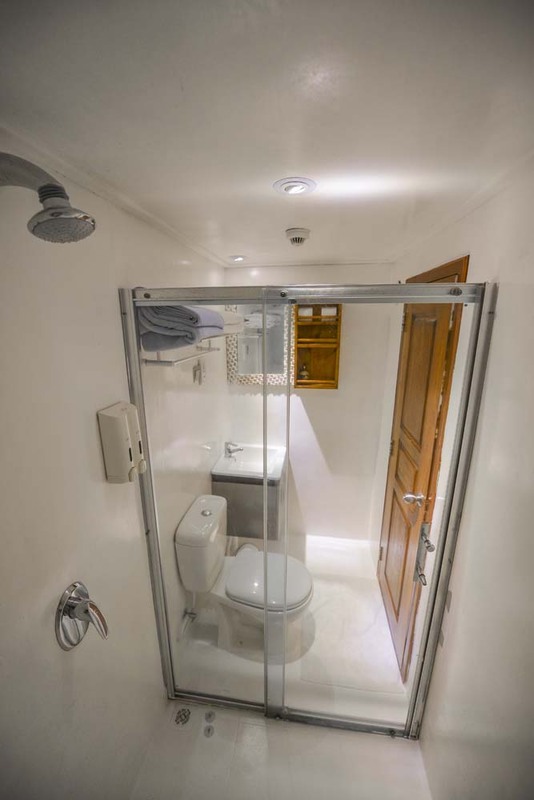 Water Maker: 16000 Litres/day (2 X Osmotic Treatment Plants  Wasco Atlantic 400). Nitrox Gen: Coltri Sub LP320, Nuvair Membrane. 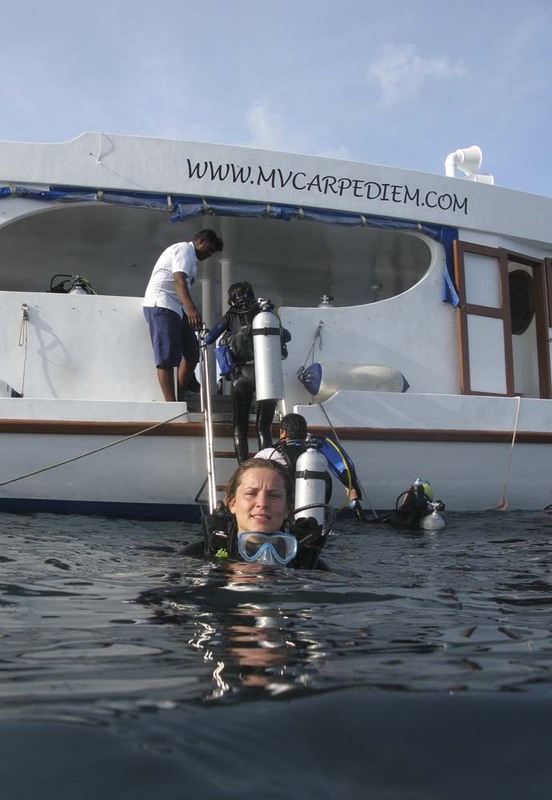 If you are looking at doing a course onboard a Maldives liveaboard then there are a wide range of courses available on Carpe Diem. 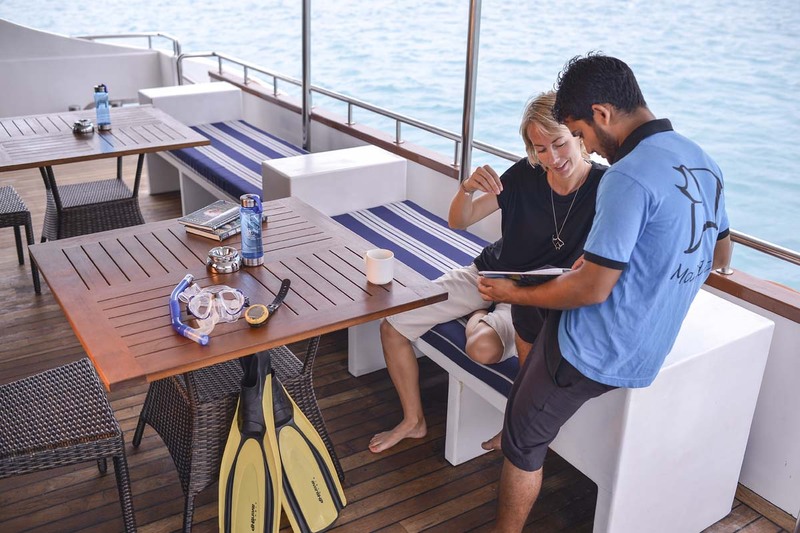 These include from ‘Introductory Dives’ for those who have never dived before to speciality courses for experienced divers who want the best diving conditions to take the next step. 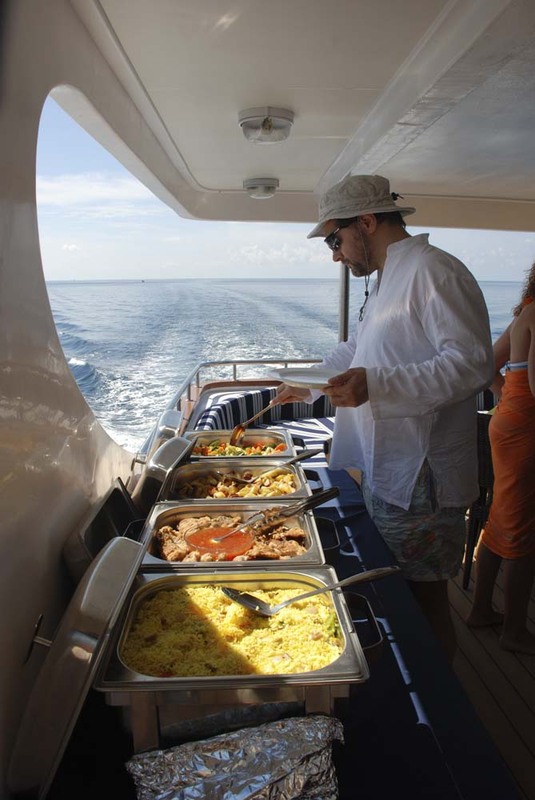 Referral Open Water courses are popular for guests who have completed the theory online. 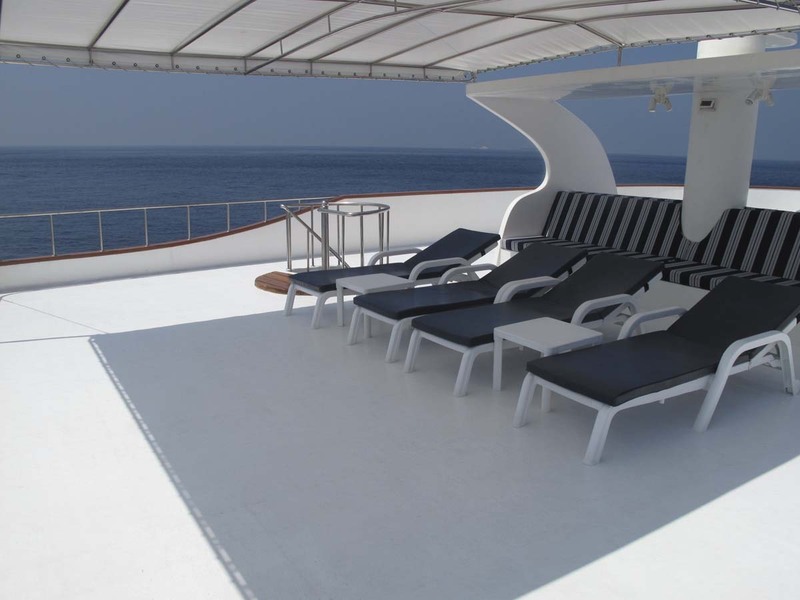 Advanced and Nitrox courses are the most popular on Carpe Diem. Please let us know well in advance of any courses you are interested in, so that we can prepare materials, staff and any equipment before your arrival. 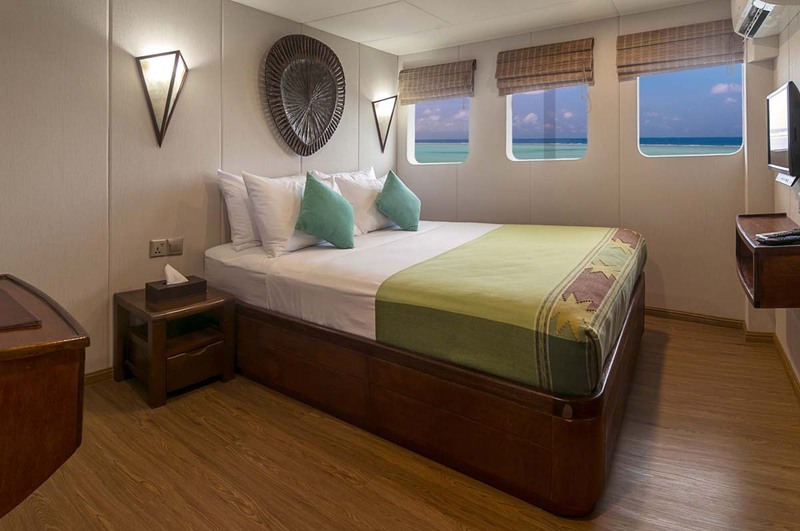 Most Maldives Liveaboards offer transfers and through Carpe Diem there are free scheduled transfers from Male’ International Airport on departure day and back again after the cruise. These transfers are at set times, to coincide with most guests’ flights. 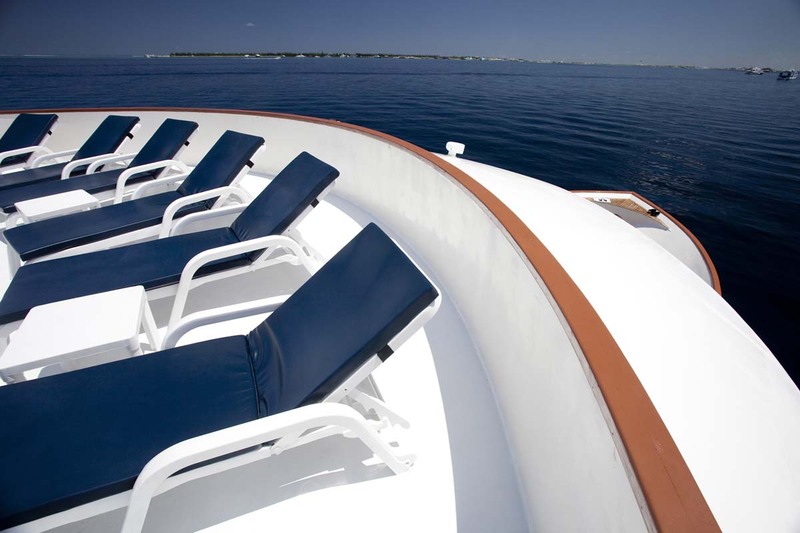 Please let us know your travel plans so that we can assist with the most convenient transfer for you. 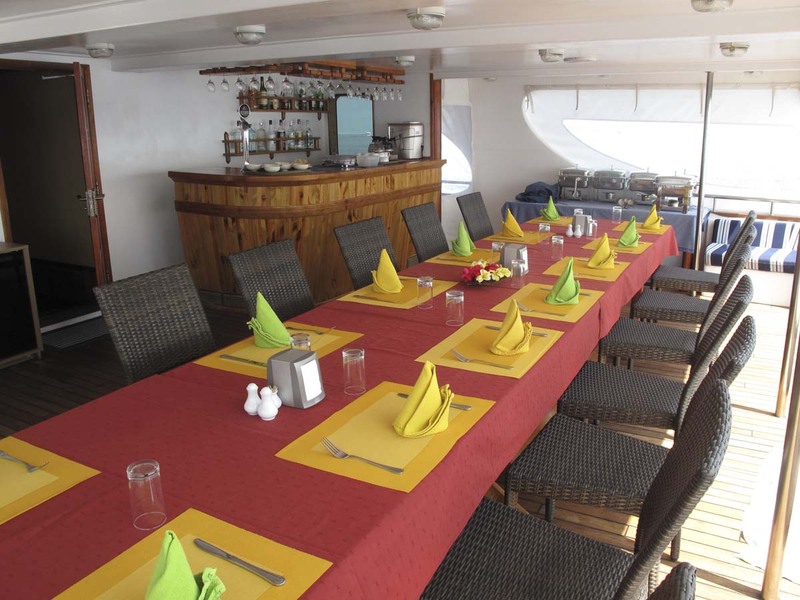 The prices in the table below are for rental equipment on Carpe Diem. 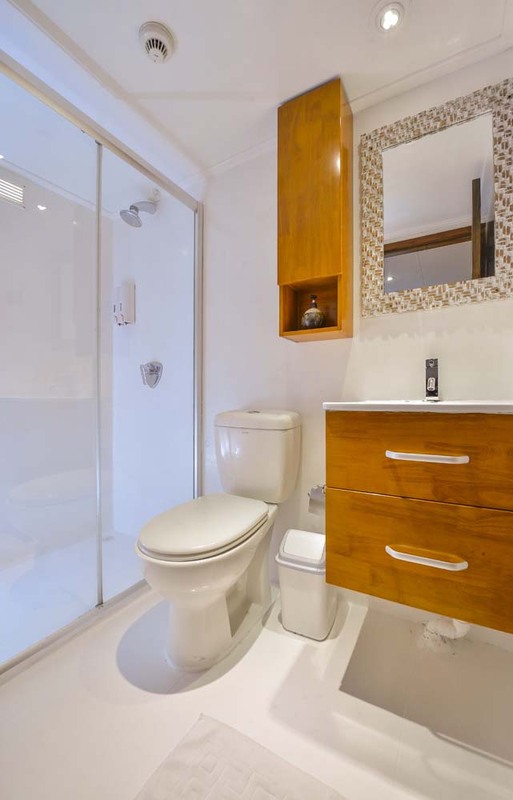 They are in USD$ and subject to a 12% GST (Government Sales Tax). Please let us know as soon as possible which items and in which sizes you will require. 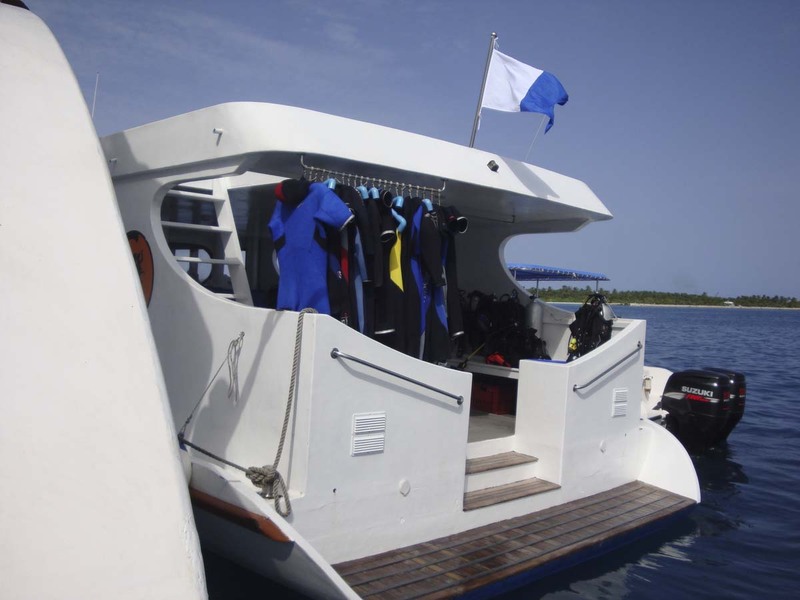 Snorkel equipment, SMBs (safety sausages), weights, weightbelts, and standard 12-litre tanks are available free of charge.